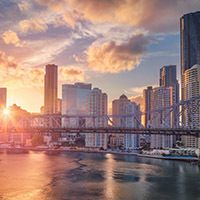 Following the completed merger of two major Queensland superannuation funds, VicSuper and First State Super have entered discussions of consolidating, with the potential to become Australia’s second-largest super fund behind AustralianSuper. Combined, the new fund would manage more than $110 billion in retirement savings for more than 1.1 million members. The two profit-to-member funds look after more than a million state government employees in NSW and Victoria. The two have started considering amalgamation as Sunsuper has completed a merger with rural focused AustSafe Super, with the new fund now catering to 20 per cent of Queenslanders. Sunsuper now has $64 billion in funds under management and 1.4 million members. Chair Andrew Fraiser said the merger would deliver a combined $10 million per annum in savings to both funds’ members. First State Super is not new to consolidation, having merged with Health Super in 2011. It manages around $90 billion on the behalf of 800,000 members. Meanwhile VicSuper has more than $20 billion under management and 240,000 members. The two firms are yet to disclose further details on the new fund, with the discussions at this state being ‘exploratory’ and there being no further obligations to proceed. The talks have evolved after the government extended permanent tax relief for super fund mergers in its federal budget. Industry Super Australia had predicted there is likely to be more significant super fund mergers in the years ahead. “We both believe in the importance of financial advice to help our members make the most of their retirement savings, and many of our members come from similar and complimentary industry sectors,” First State Super said. “The opportunity to achieve greater scale through a merger like this could help us create even better member outcomes through enhanced services and broader investment opportunities delivering sustainable investment returns,” VicSuper said.